“Finding Warwick and Clearlight Designs was a lucky day for me. I was initially looking for someone to etch three small glass windows and was advised to give Warwick “a try”. With Warwick’s inspiration, the end result far exceeded my expectations and the quality of the work was well matched with Warwick’s artistic flare. I have contracted Warwick and Callan with two more projects for Shower Screens and Backlight Mirrors. Both of these resulted in what can only be described as “Sensational”. We are very happy with the final result. I think it really looks the part and works well with the standard of finishes we chose. We appreciated your efforts in getting the product to us promptly in spite of issues out of your control. It was frustrating at the time, but it ended very well. 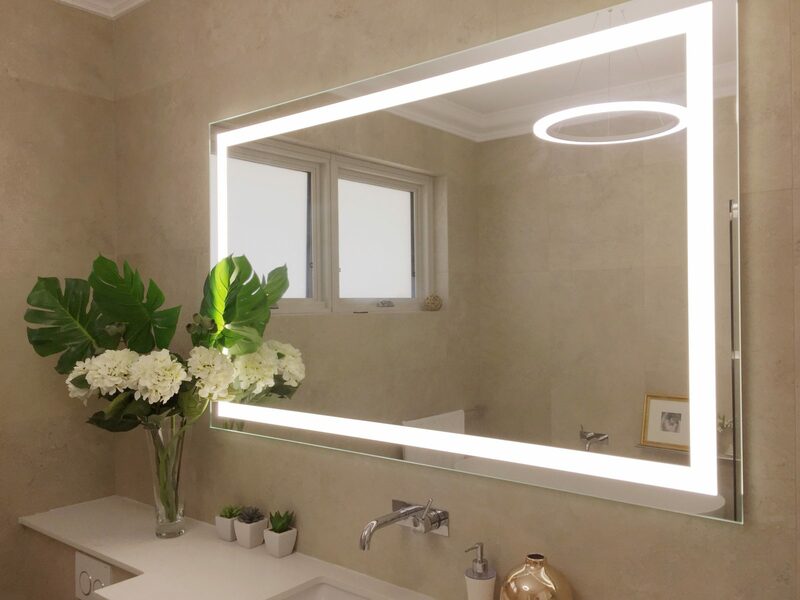 “After receiving information on the Verge bathroom mirror at the Sydney Home Show I got in contact with Warwick to arrange a quote. We worked off photos and measurements with good communication on how it would all work. Warwick arrived on time and the installation went very smoothly. I am very pleased with the outcome, it has made a big difference to our bathroom and it looks great. “Amazing, My expectations were high as I knew Clearlight Designs work was good but OMG the finished result just blew my mind. So enormously thrilled. The entire process was smooth and drama free. Customer service, workmanship, quality and attention to detail could not be faulted. “Such a beautiful piece of art.